ISPManager and InterWorx – The Clustering Specialists! It may be hard for some to believe, but only two control panel providers can allow you to access high availability clustering capabilities. ISPManager and Interworx will give you the clustering capabilities that you need. While you can find clustering solutions from both of these control panel software programs have distinctive sets of features, they do have one thing in common. Both the InterWorx license and the ISPManager license offer high availability, which will help to ensure that users provider outages do not affect the amount of time that their end users are online. ISPManager is complete with granular controls that allow web server administrators to manage all of the aspects of their web hosting environment directly from a web based GUI feature. InterWorx, on the other hand, provides feature rich control options for end users and instant server fail-over. The major hosting companies that offer their end users the ability to stay online as much as possible while experiencing zero downtime often use the instant server fail over. If you are in need of a control panel that will allow you to cluster your system, then either an Interworx License or an ISPManager License will help you obtain that freedom. Clustering is a very common tactic used by hosting providers and web developers in order to integrate their systems more effectively. A Clustering License is an important element to many providers, and the Interworx License and the ISPManager License will give you all of the capabilities that you need in terms of high availability clustering. With a clustering license from either of these providers, you will also be able to utilize the single entry point feature. This will allow you to fully take advantage of your InterWorx License or ISPManager License by making it easier for you to operate and navigate. ISPmanager is Now Available on LicenseCube! At LicenseCube, we are happy to announce that we have recently launched a new ISPManager. This is an additional option for customers looking to upgrade their control panel software license from Plesk or cPanel. An ISPManager License is an excellent choice to consider if you need to revamp the way that your system works so that you can create more efficient management and automation of tasks. 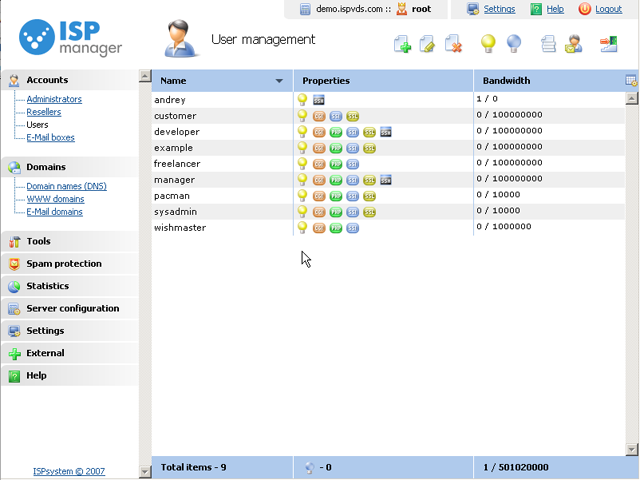 The ISPManager has become one of the most popular in the European market. The level of control and flexibility that you will find with an ISPManager License is essentially unparalleled in the current market. An ISPManager license will allow you to have greater management capabilities so that you can better control your virtual environment. The granular control that ISPManager offers will allow administrators of hosting or web development businesses to set up users on an individual basis. 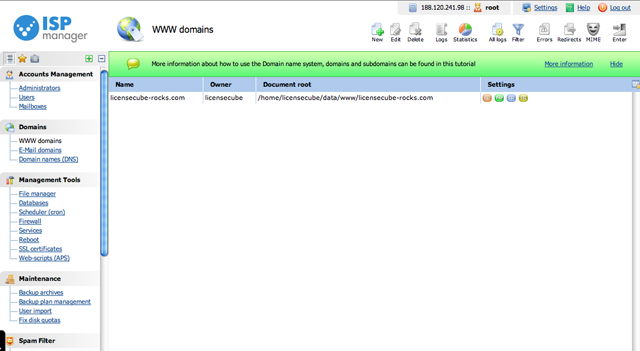 This will allow you to ensure that a single customer cannot interfere, damage, or abuse resources on your system. 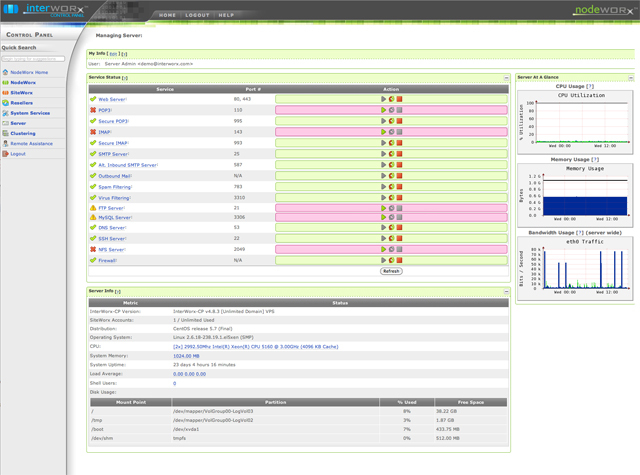 ISPManager is also well known as one of the few control panels that provides multi-language support. In order to propel your business to the next level, it may be beneficial for you to go global and offer your services to people in other countries. You can now set up your site so that the content can be translated into different languages so that you can communicate with more people and potentially expand your client base. You can also utilize this service with an ISPManager License without having to pay any extra fees. There are three different versions of the ISPManager language files that you can choose from so that you can choose the version that suits you. This type of software will also meet the challenges that many people face from a limited budget. If you have chosen to use a software license for Plesk or cPanel, then the ISPManager may be a cost-effective, feature-rich option to consider. ISPManager is well known for its flexibility and its ability to run on a variety of Linux distributions. ISPManager definitely packs a serious punch, and other control panels like Plesk are having a difficult time keeping pace. With a Plesk License, you will need to pay a much higher price to license the software; however, an ISPManager license will allow you to gain the same control over the management aspect of your control panel than the more expensive varieties. Additionally, you can accommodate people that do not speak English by purchasing an ISPManager License. You can easily change your language and obtain documentation directly from the ISPManager website that can easily be written into your native language. In contrast to many of the other control panels on the market, ISPManager uses a much lower amount of resources than other control panels like cPanel. ISPManager is even said by many developers to consume fewer resources than one of their biggest rivals, Plesk. ISPManager also has what many control panel providers like Plesk simply don’t offer. You can find around the clock support with an ISPManager license so that you can get answers to any questions that you may have. This will allow you to better operate your systems so that you can take full advantage of the management features offered on the ISPManager control panel. Support 24 hours a day 7 days a week is really beneficial if you ever need to resolve any conflicts that arise on your control panel, and you will not find this type of comprehensive support with Plesk. Additionally, a Plesk License will not allow you to access the advanced API offered by an ISPManager license. The API will allow you to have better oversight and control over your resources and the relationship that you have with your clients so that you can more effectively manage your virtual environment. 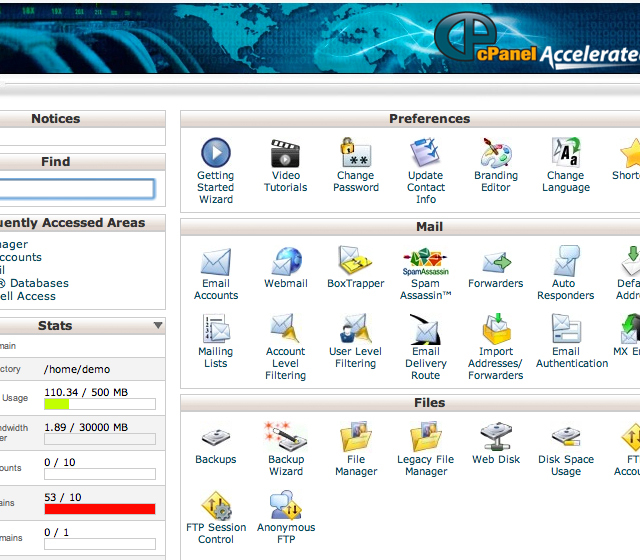 What Are Some Good cPanel Alternatives? In terms of control panel software, cPanel and WHM have long been the traditional default choices. There is no doubt that the programs are quality and that they are effective, but for some users, there has certainly long been a need for greater scalability and more features. The days where there were no real alternatives to these programs have long since ended, and there are actually a number of new and existing programs available that provide a great alternative to cPanel. Plesk, ISPManager, InterWorx, and DirectAdmin all provide excellent alternatives for people whose needs are simply not met by cPanel. What you will notice when searching for control panel software these days is that cPanel alternatives are not hard to find at all. In fact, they are quite prevalent. A Plesk license, for example, is largely considered to be cPanel’s biggest competitor. The software is incredibly feature rich, and it is also far less expensive to the end users who are required to purchase it. Add to this a much more user-friendly design and approach and you can start to see why the control panel software is giving cPanel a real competition in terms of popularity and user numbers alike. Most of the cPanel alternatives, including Plesk, ISPManager, and DirectAdmin offer not just the same level of functionality as cPanel, but in many cases, they offer more. Benefits such as increased scalability to really meet the specific needs of the end user as well as lower costs and resource requirements make these alternatives a very viable and worthwhile option for a large number of hosting companies. Modern solutions offer a vast number of scripts as well as easy script installation and top level support. While a cPanel license will certainly still hold a place in the market, it is no longer the only option or even guaranteed to be the most effective option. There are a large number of control panel makers out there that exist solely to help you better control your hosting environment. The problem, however, is that all of these solutions are missing one vital element. The vital element is not the same from one company to the next, however. A Plesk license may have everything you need except one vital feature, and while the cPanel license has that feature, you will likely find that to get it, you in turn have to give up something else you need. The good news, however, is that there is finally a solution to this problem and its name is ISPmanager. ISPmanager is a web hosting solution that is designed to make things better for administrators. This software was created to provide admins with all of the tools that they will need to ensure that they have complete and accurate control over their entire hosting environment. An ISPmanager License makes it easy to manage MySQL concurrent connections, CPU allocations, and much more from within a single, easy to use web interface. ISPmanager is easily the most powerful control panel option on the market today, providing more functionality than Plesk or cPanel can provide. When you need a hosting solution that works for you, you will find that ISPmanager is not just the most powerful option, but also the cheapest by far, making it well suited even for administrators working on a tight budget. The program works to make whatever you need a possibility and is available in both Lite and Pro, both of which are absolutely packed with features to help make managing your web hosting environment as simple and seamless as possible. When you need more power and function and don’t want to sacrifice current options just to gain some that are missing, ISPmanager is the control panel you are looking for. What Are the Alternatives for Plesk? When it comes to control panel software for the web hosting industry, there is no company quite as big as Plesk. The company has a variety of programs and solutions, and their control panel is certainly one of the most highly pushed options. But that doesn’t make it a perfect fit for everyone. When you are looking to provide your hosting company with control panel options, it may prove beneficial to actually take a look at some of the Plesk alternatives out there. There are certainly many to choose from. Plesk 10 is still the most popular choice out there right now, especially in Europe, largely because they have a global reach and the ability to provide a system that is highly scalable and capable of handling growth. Most rival control panel software simply does not have this capability fully implemented as of yet. There are a number of players in the game that have established themselves as serious Plesk alternatives, such as cPanel, ISPManager, and DirectAdmin, but the simple fact is that they are not on par in terms of reach and scalability just yet. If you feel that Plesk 10 is not the option for you, but you need a control panel solution that can meet all of the same needs while offering more features, the only Plesk alternative that will really fit the bill is InterWorx. InterWorx is by far the top Plesk alternative. The control panel is incredibly feature rich and has low resource requirements. It offers exceptionally high availability and offers plenty of tools without ever becoming overly complicated. With easy resource management and a full featured API, InterWorx is a more viable Plesk alternative than cPanel and DirectAdmin for many. Take the time to look at all of your control panel options, but understand that in terms of providing the same levels of scalability and reach as Plesk, InterWorx is going to provide the best Plesk alternative.